S*#t is going down in Panem. No really, did you see the end of The Hunger Games: Catching Fire? DRAMA. The first teaser for the penultimate film in The Hunger Games series, The Hunger Games: Mockingjay, Pt I dropped this morning, and it’s something a little different. There’s no Katniss (Jennifer Lawrence). Instead, we have a Public Service Announcement from President Snow (Donald Sutherland being creepier than ever), accompanied by a silent, but very important appearance by Peeta (Josh Hutcherson). The message of this PSA? The Capitol is your friend. The Capitol keeps things stable. The Capitol wants to keep you alive. Unless you try to break the status quo. Then the Capitol is taking you down. The epic conclusion to the THG series will be split into two films, because there’s a lot that goes down in that last book. 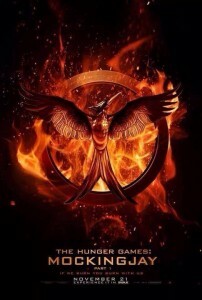 Or is it just because Lionsgate want to make some extra cash? Maybe a little bit of both (though probably more the later). The Hunger Games; Mockingjay, Pt I opens in theatres on 21st November, 2014, with the second part to follow in November 2015.